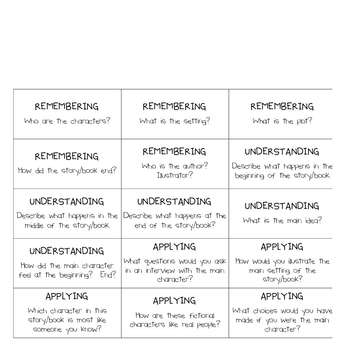 Questions can be used for a literacy center. I put these into a discovery bottle for a listening center. 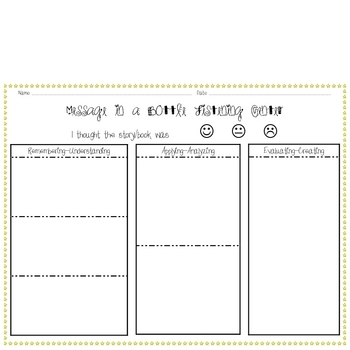 Each question is labeled by the different stages of Bloom's Taxonomy. 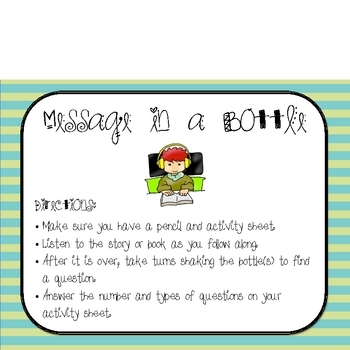 The activity sheets are differentiated to go along with the questions. 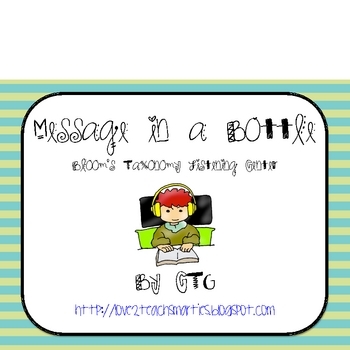 Check out the other center/activities on TpT by CTG.